Every(mild and sunny)day I’m Hustlin’. Posted March 28th, 2012 by Meg & filed under beekeeping. Posted March 27th, 2012 by Meg & filed under beekeeping. Posted March 20th, 2012 by Meg. Posted March 19th, 2012 by Meg. Homemade toothpaste in a pinch! Posted March 14th, 2012 by Meg. Posted March 13th, 2012 by Meg. 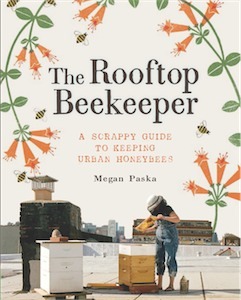 A Beekeeping Apprenticeship Program at Brooklyn Grange! Posted March 12th, 2012 by Meg. Posted March 11th, 2012 by Meg. Posted March 8th, 2012 by Meg.